Red Dead Redemption 2 is undoubtedly the biggest video game release of 2018. As proof, the game is at the top of the charts on Xbox One and PS4. It must be said that the game has been awaited for years by fans of the first opus. Note that PC players who are left behind may not be left behind for long. Red Dead Redemption 2 on PC? The rumor is insistent. 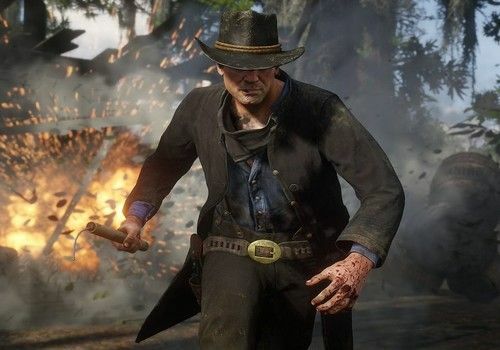 Even before the release of the console game, the rumors of corridors announced that Rockstar Games was examining the PC platform in order to carry the game there. Recently, a video that appeared on Youtube and then deleted at the same time showed the menus of a game that could be RDR2 on PC. On this video, we can see the game's graphic settings and the player uses a mouse to navigate between the different options. The other interesting detail concerns the PC build number which identifies the Windows version installed on the machine. Is the Red Dead Redemption 2 video on PC authentic? A release date for Red Dead Redemption 2 on PC? Rockstar Games obviously did not communicate on this leak. It is therefore still too early to say that this is not yet another fake. If, however, it is an authentic game, it will be released in 2019 or a little later. The studio takes between 12 and 18 months to bring its flagship games to the PC. Let us be patient. Explore Diagon Alley, Hogsmeade, the forbidden forest and other enchanted lands in a remarkable graphic environment and relive the magic. This post-apocalyptic Korean Hack'n Slash will show you the country and experience the pain!